What does the future hold for classical music? This is a question that has been asked many times in recent years as the industry has struggled with an aging audience and declining ticket sales. Recently the question was brought up again in music circles after Chinese pianist Lang Lang returned to the stage after taking more than a year off to recuperate from an arm injury. Lang was warmly welcomed upon his return. A New York Times feature indicated that Lang, with his huge commercial appeal, is of great importance to the classical music world as "the good old days" are gone and only a "select group of artists" can still sell out concerts. But, is that truly the case? Not entirely, at least not in China where an emerging and growing market for classical music continues to gain strength. Originating in the West, classical music was introduced into China in the early 20th century. Long a niche market in the country, the demand for classical music has seen obvious growth in recent years. In contrast to the West, Chinese audiences that pursue classical music are much younger and thus more active in the community. According to Ying Yue, an editor for Shanghai Classical FM 94.7 - the first 24-hour classical music radio station in China - the main body of classical fans in China are young kids learning to play musical instruments, their parents, and a growing number of young white-collar workers living in urban centers. "Many young people listen to classical music, and some of them also make particular musicians their idols," said Chen Yulin, 30, a classical music fan who started attending concerts eight years ago. In his opinion, improved education and increased interest in the arts among younger generations as well as the rise of the Internet are some of the key factors that have contributed to the growth of fans in China. Compared to the past, audiences in China have better access to music resources than ever as world-class orchestras including the Berlin Philharmonic and the Vienna Philharmonic Orchestra travel regularly to the country for performances. Numerous shows are available for the public each year. 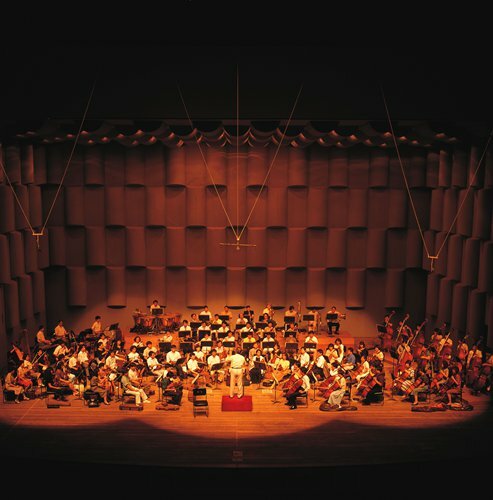 Take the Shanghai Concert Hall for example, that venue alone has scheduled 320 classical music concerts for 2018. Apart from high quality performances, local events and classical music stations have helped to introduce classical music to the general public, according to He Hongliu, deputy director of Shanghai Classical FM 94.7. For example, "Weekly Radio Concert," a popular classical music concert streamed online, features a host who introduces each work before it is played, while explanations concerning each piece appear at the bottom of the screen as the music is played. The online access to the concert and inexpensive ticket prices of 30-50 yuan ($4.50-$7.50) has helped give audiences greater access to classical music. Outdoor classical music festivals and events are also held annually in multiple cities throughout China, opening up a door for family members to get a touch with classical music. "We often say that there is no such thing as a niche art program in China, given its considerable population. Tickets for local events sell well," He noted, emphasizing the advantage China's enormous market has over others. Meanwhile, the rapid development of the Internet industry and online education has helped promote the classical music market in China and diversify the way people consume music products. Over the past two years, online classical music lessons, live streaming programs and relevant multi-media programs have sprung up on various mobile platforms such as Himalaya, Get and Zhihu. Take the once-hotly-discussed online lesson series Xue Feng Concert for instance. The series garnered 50,000 subscribers within its first two months and earned more than 9.95 million yuan. Earlier this year, the New Year concert performed by German orchestra Sächsische Staatskapelle Dresden got 5 million views on v.qq.com, a major video streaming platform in China, in just two days. These are just a few hints at the huge potential classical music has in China. "Young people like to interact more and the new media provides a channel for them. I do believe that this market is attractive to younger people," said Chen. Though the market seems active, fans and experts indicate that there is still a long way to go before classical music becomes mainstream. 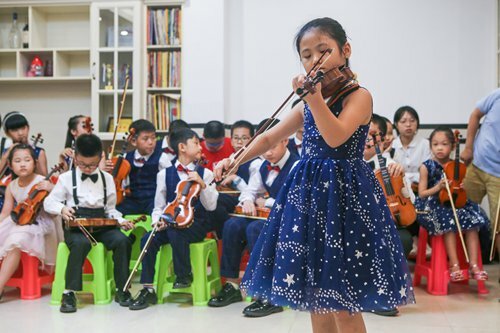 "Personally, I think the public's tastes and ability to appreciate classical music is limited, though they are economically powerful," said Zhou Yifan - an ophthalmologist who in his spare time is a violinist with the Shanghai City Symphony Orchestra, a non-profit amateur orchestra. Tao Xin, a professor at the Shanghai Conservatory of Music, stressed that more effort is needed to help the public understand and accept the diversified and multi-layer values and cultural heritage that classical music contains. "We are more willing to accept the entertaining and fancy elements of classical music, but have yet to thoroughly accept the religious context," said Tao, explaining that religious elements of certain classical pieces is often omitted for performances. "For instance, we take Bach's 'St John Passion' and change the Chinese title to 'John's Song of Life.'"